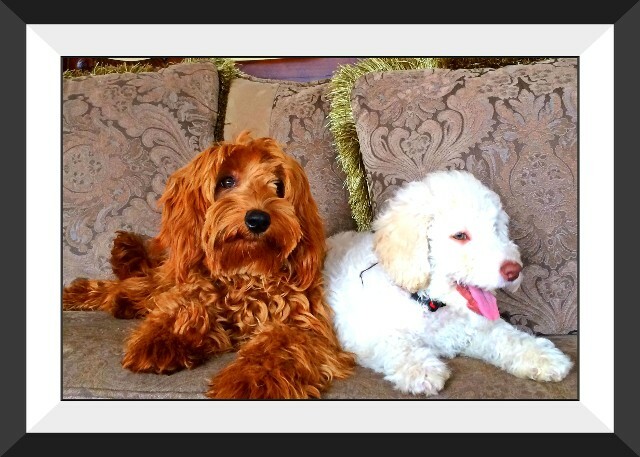 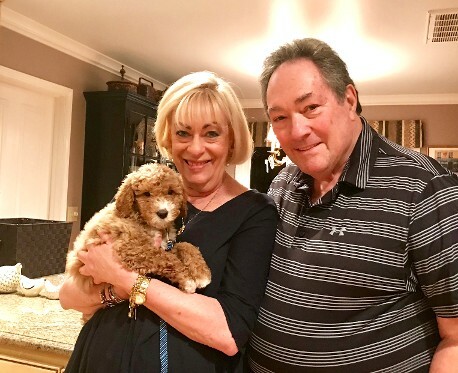 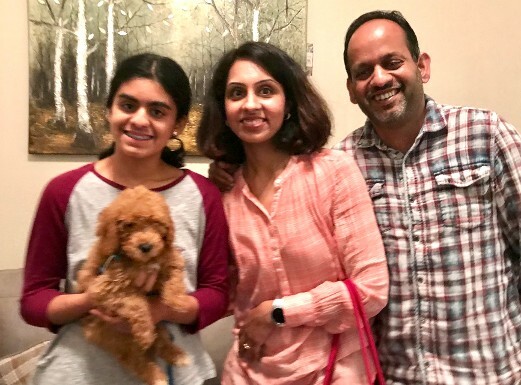 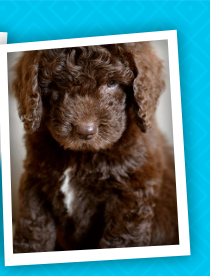 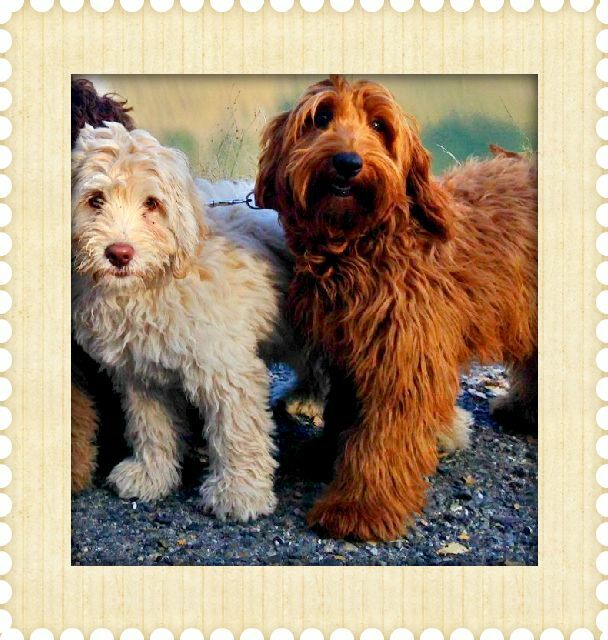 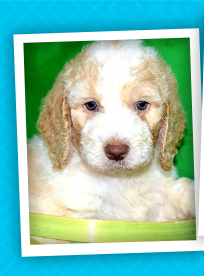 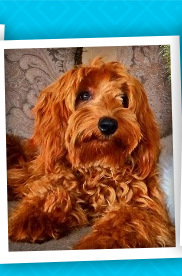 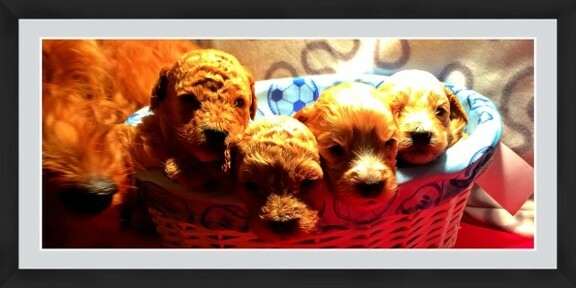 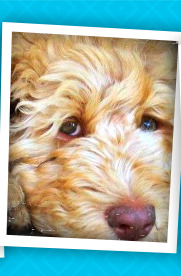 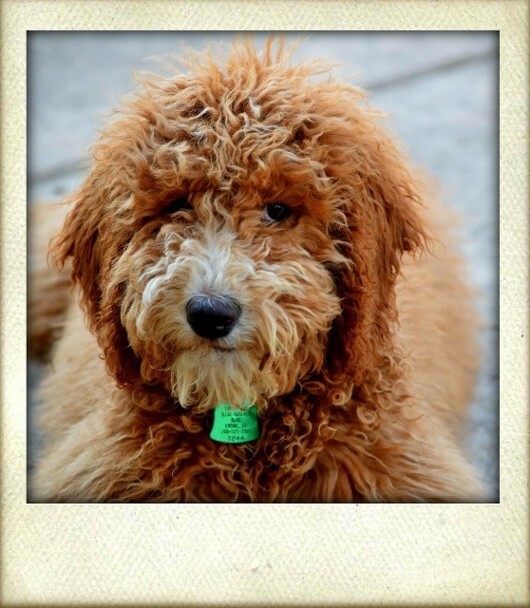 Dedicated family breeders, breeding gentle natured, red, apricot, white Australian labradoodles img alt="red labradoodle" img alt= "labradoodle puppy"
Come, Fall in Love ! 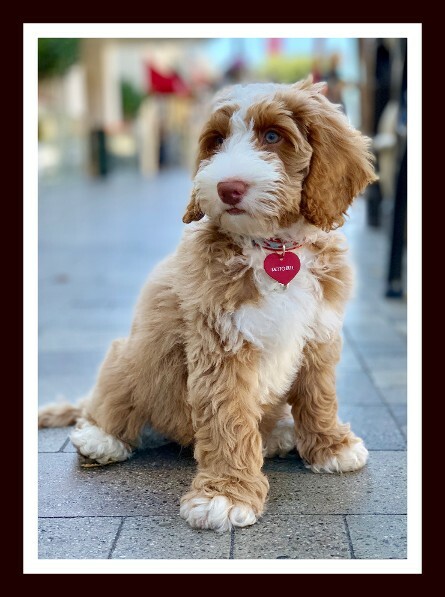 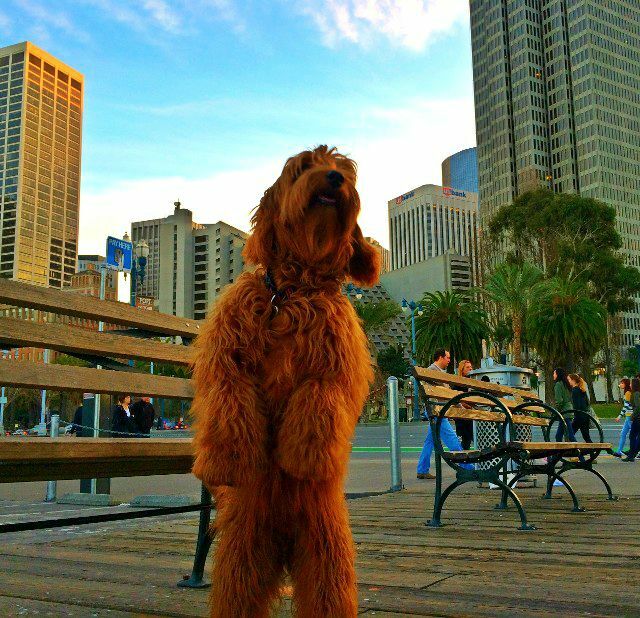 Note: The above two pictures and the following picture of our puppy 'Harpo' were taken by our puppy family in San Francisco, Thank you Dina! 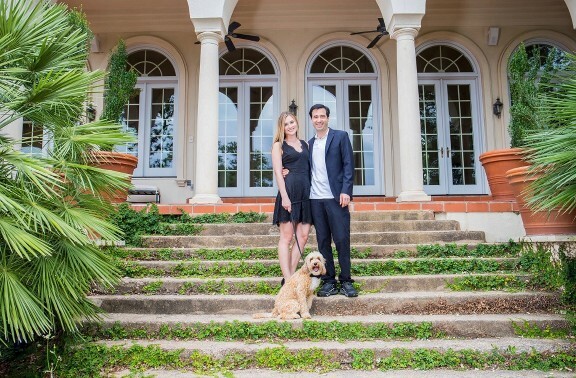 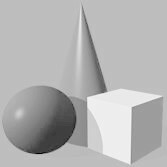 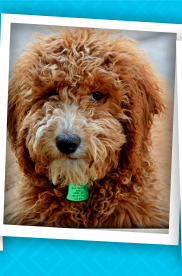 Check out our new webpage "Picture Testimonials"
specifically to cater to people with low vision and an allergy to dog hair. 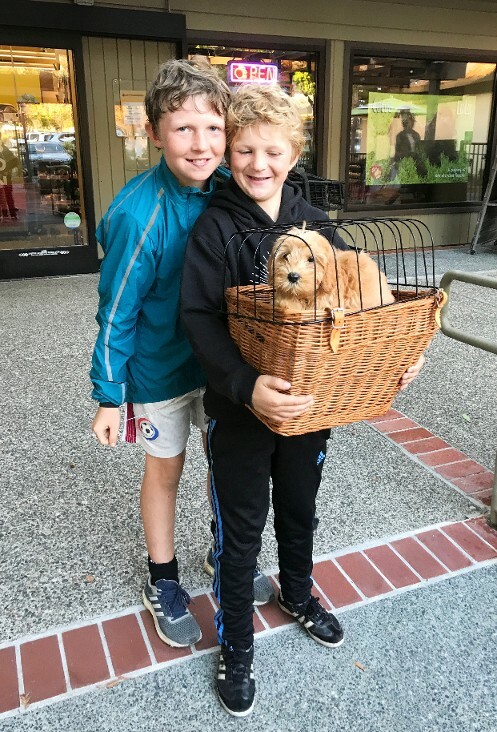 Why just get any pet? 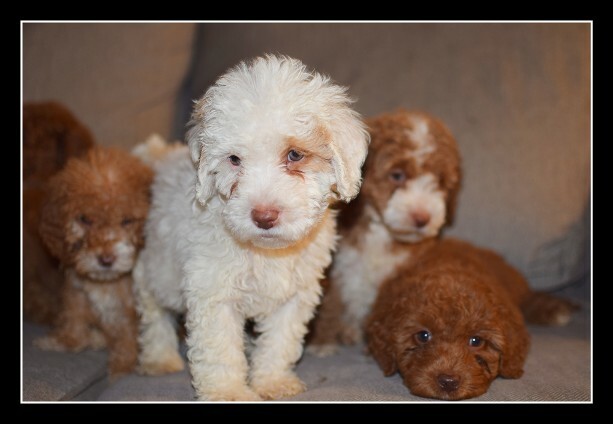 coats that look like Teddy Bears and Living Plush toys! 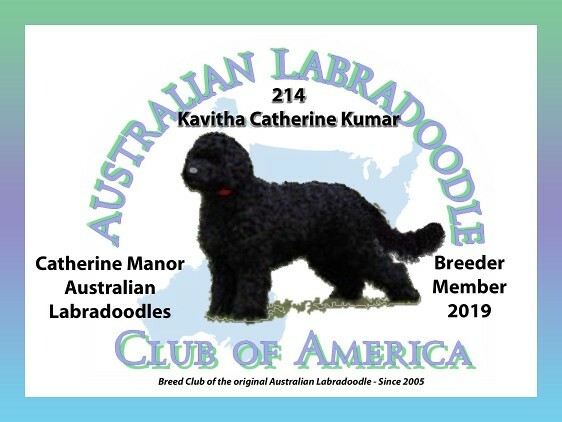 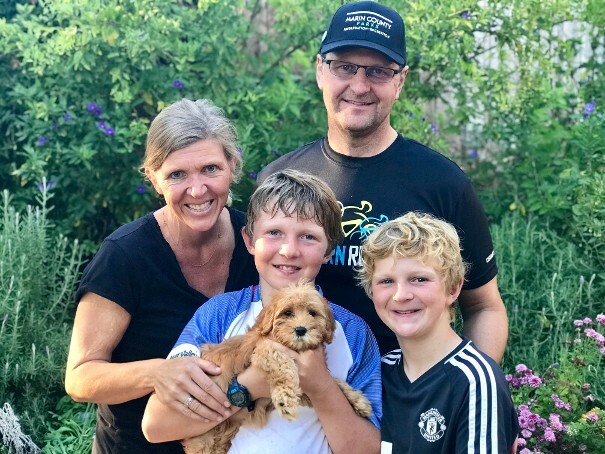 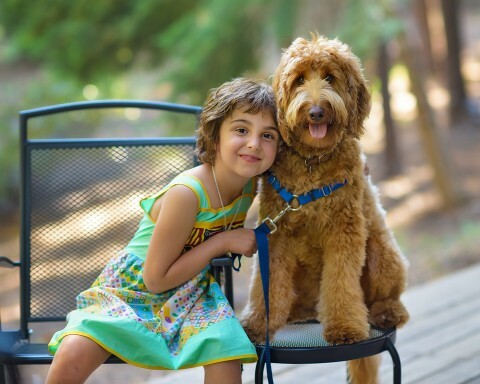 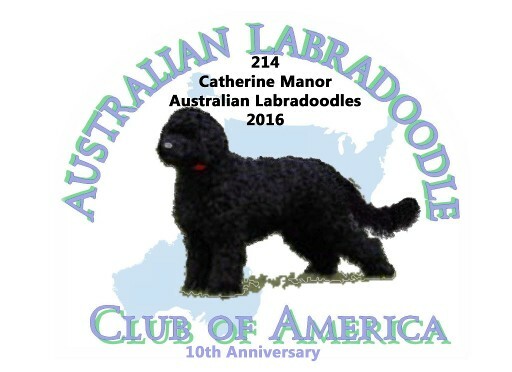 finest Australian Labradoodle Breeders in the country and the world, including Australia, we also have wonderful therapy and service dog lines from established service dog breeders in Indiana. 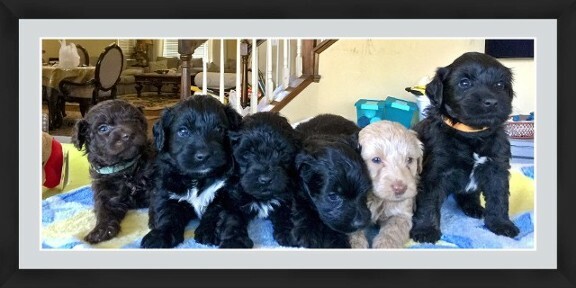 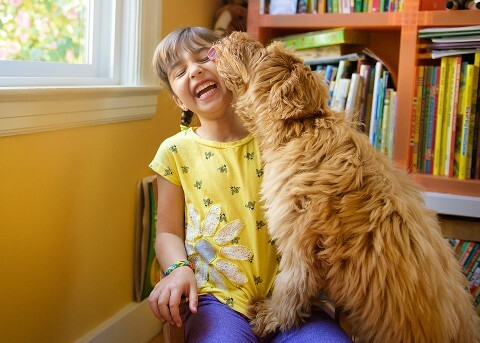 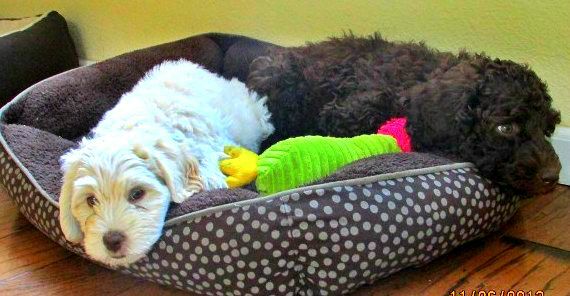 All Labradoodles, regardless of color are wonderful family pets. 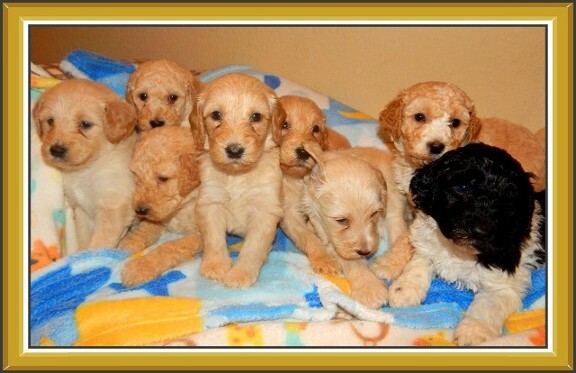 They are sociable and intelligent, intuitive, friendly and very trainable. 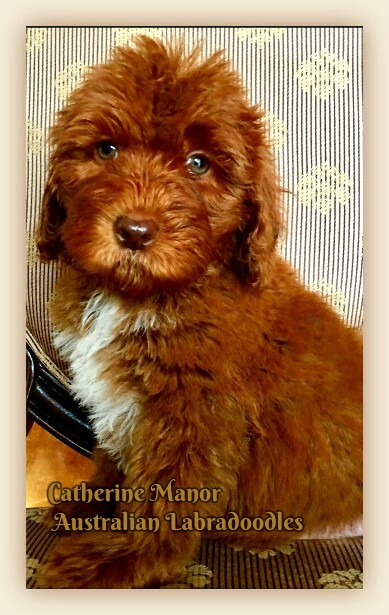 Rutland Manor and Tegan Park bloodlines.